Sulfotransferase that utilizes 3'-phospho-5'-adenylyl sulfate (PAPS) as sulfonate donor to catalyze the transfer of sulfate to position 6 of non-reducing N-acetylglucosamine (GlcNAc) residues. Preferentially acts on mannose-linked GlcNAc. Also able to catalyze the transfer of sulfate to position 6 of the N-acetylgalactosamine (GalNAc) residue of chondroitin. Also acts on core 2 mucin-type oligosaccharide and N-acetyllactosamine oligomer with a lower efficiency. 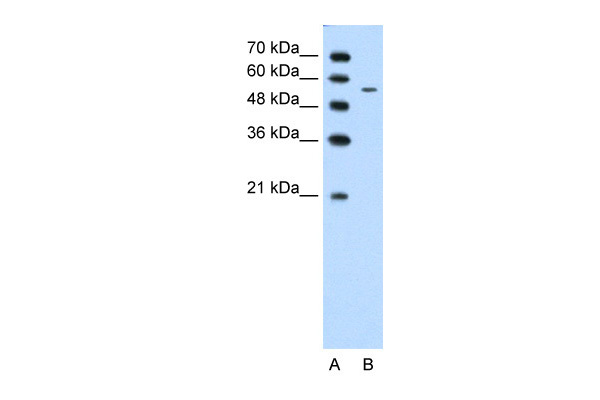 Has weak or no activity toward keratan sulfate and oligosaccharides containing the Galbeta1-4GlcNAc. Catalyzes 6-O-sulfation of beta-benzyl GlcNAc but not alpha- or beta-benzyl GalNAc.